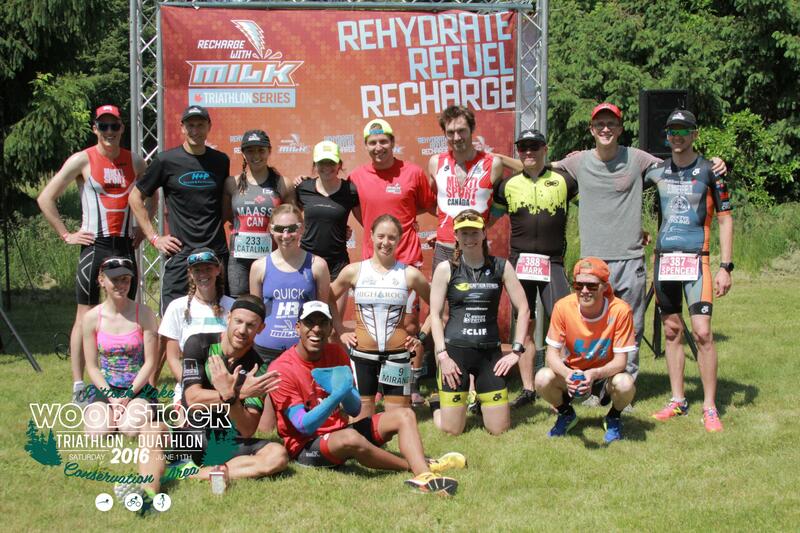 We arrived at the race 40min before my wave start so I ran to transition, squished my bike in on the rack and joined John, my fellow Recharge with Milk Ambassadors, and Lionel Sanders at the center of transition where we were introduced to the crowd. I ran back to my bike and quickly set up my transition. 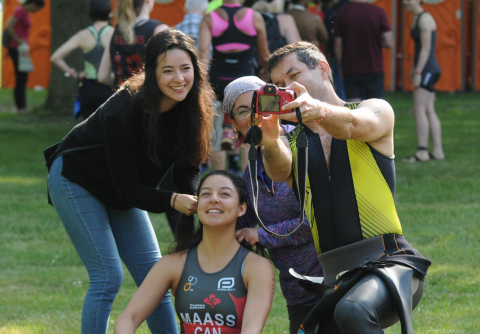 After getting my bib, Alicia and my older sister, Constanza, teamed up to quickly get my hair race ready! 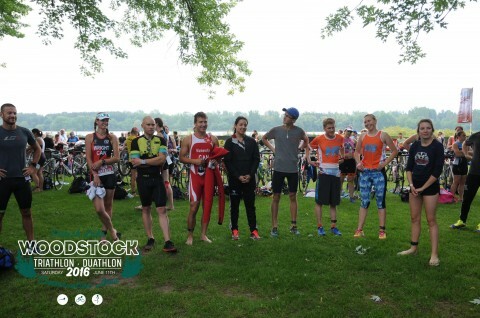 After a short swim warm up I took a spot at the start line in the lake. After the horn went off and I got a few fast strokes in attempt to get away from the pack. Gradually, I feel swimmers coming closer, squishing me in. About 10m someone’s hand goes above my head and strokes back pulling my goggles right off. I swam the rest of the 740m blindly without them keeping my head up as much as possible to see where I was going. Unfortunately, I knew then that I wasn’t going to have the swim time I was hoping for. 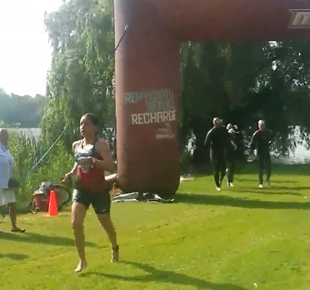 During the bike I set out to recover the time I lost during my swim. The course was really nice but strong cross winds made it difficult to ride comfortably as I was getting pushed to the edge of the road frequently. I came off the bike feeling tight and sore from fighting the wind. The start of the run was rough! My legs had a mind of their own and were not feeling a 5km run. 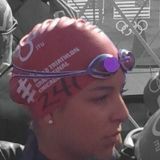 I decided to take it one kilometer at a time which helped me mentally to get through it easier. 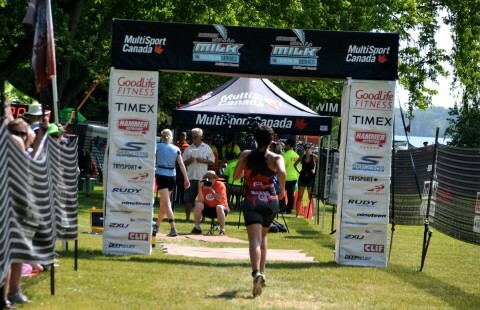 Before I knew it I was at the finish line and it felt good to be done! One of my favorite parts about the race was the environment. The spectators, the volunteers, and the guest star Lionel Sanders made it a very memorable day. 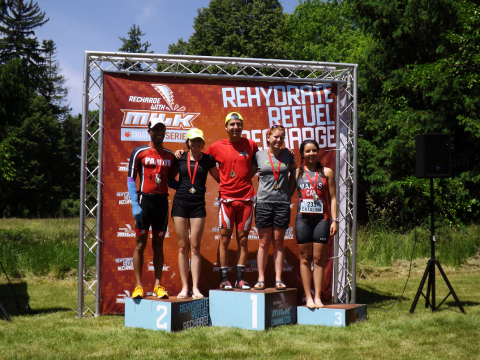 I was so happy to be reunited with the MultiSport Recharge with Milk family and meet new athletes including some of the Give-It-A-Tri athletes. It was a delight to give some of the first timers advice and encouragement as they set up their transition area before their race! 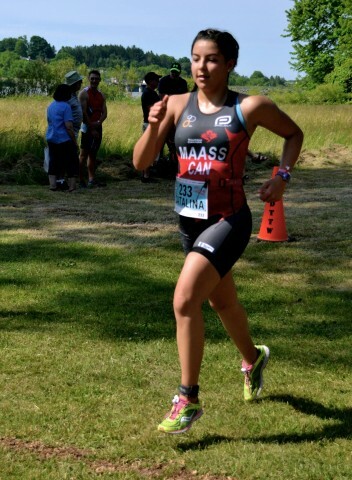 Personally, it was a rusty start to the season but I feel accomplished in finishing the race and on top of that I was pleasantly surprised with a 3rd place finish in my age category! 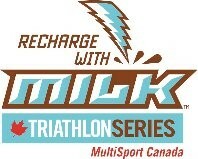 A Huge thank you the MultiSport Canada Recharge with Milk Triathlon Series for your support and for organizing such a fun event! 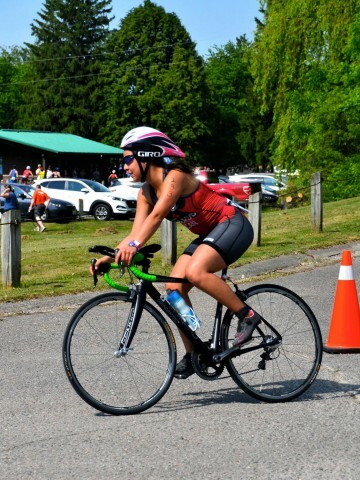 Thank you to Christine for lending me her bike for this race and for my family friends for taking care of me this weekend while my parents were away.